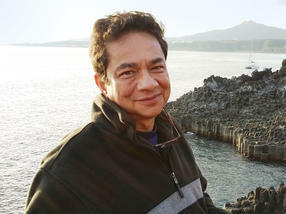 Purnendu K. (Sandy) Dasgupta, is the Hamish Small Chair in Ion Analysis at the University of Texas at Arlington. Born in India, Sandy has spent virtually all his adult life in the US, specifically Baton Rouge, Louisiana (where he got his PhD), Davis, California (where he worked as an Aerosol Research Chemist and taught Environmental Engineering), Lubbock, Texas (where he spent 25 years at Texas Tech), and most recently since late 2006, Arlington, TX, which he now calls home. Sandy has had training both in electrical engineering and analytical chemistry; his first love is building instruments. Although he has acquired some distinction for his work in chromatography, particularly ion chromatography, he keeps fleeting from this to that – at heart he is just a tinkerer. The current flagship project in the lab is a NASA sponsored effort to build an ion chromatograph for extraterrestrial explorations. He is both an IEEE fellow and a recipient of American Chemical Society awards in Chromatography and Chemical Education.